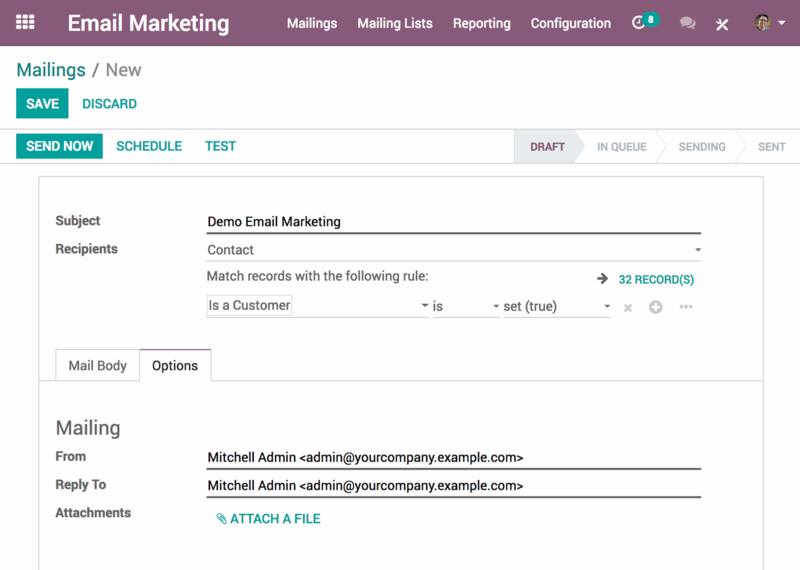 Add a tracking code to the links within your email campaigns and get a complete view of the performance of each campaign on a dedicated dashboard with the Odoo Link Tracker. Follow your opportunities through Odoo CRM and analyze the conversion rate, the expected revenue, and the generated revenue of each of your campaigns. Use filters for more in-depth analysis.